“My life would be so much better if I’d just fallen in love with someone else,” Mindy says to herself after the events of the third season finale, where Danny tells her that he doesn’t want to get married and then runs to meet her parents in India (without letting her know). 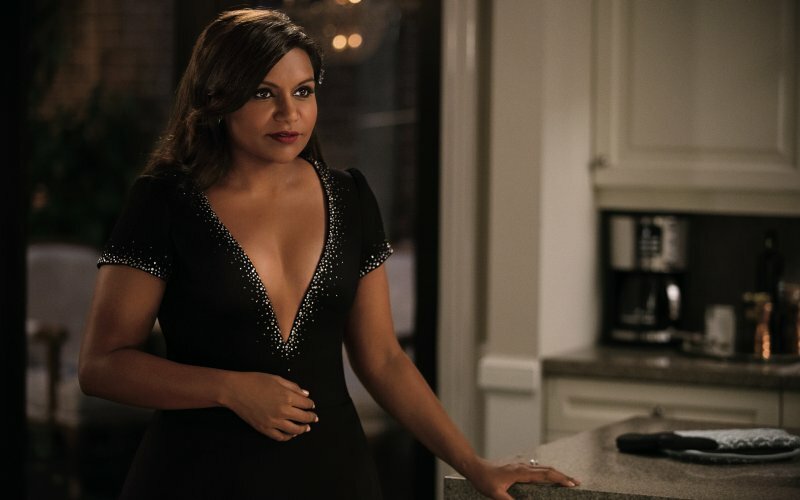 After a third season where I argued pretty much just that, on repeat, ad nauseam — that Danny took Mindy for granted, that Danny always seemed to wrong her or decide things for her without her consent — hearing Mindy say this was the first of many, many signs that this was going to be a great episode of The Mindy Project. Well, that’s not true. The reference to a South Park pinball machine was the first indicator. But you see my point. I was wrong, though — this wasn’t going to be just a great episode of The Mindy Project. It was going to be the episode of The Mindy Project, the one that got me amped, the one that got me screaming at my television in excitement. I don’t regret what I wrote about the third season, but I do apologize. This episode justified the long haul to the proposal. This episode justified pretty much the entirety of the third season and put decisions that weren’t given enough time (Mindy’s fertility clinic) in a meaningful context. I was wrong to be so negative because it was the third season that made this premiere such a home run, and I am excited to re-watch the third season feeling the way that I do now. I’ve made it no secret that my interest in this show is anchored to my passion for writing. I think Mindy is brilliantly written, and I think the writers are so aware of how their characters would act and are so skilled in making a plausible story. This is so important to me — in a show that is about relationships, the development of Danny and Mindy has become a major focus, and I think this show has succeeded 100% when developing their love story. These are two people who could actually exist falling in love. They are less falling in love as a result of their proximity and more falling in love because they are actually meant to be (even if that drives them crazy). Mindy and Danny’s appeal to me is that they grow with and truly do appreciate each other. My favorite moments between Mindy and Danny are not the comedic ones, really; they’re the ones that demonstrate the writers' understanding of the 46-episode foundation they’ve built the relationship on. I cannot wait to see their love deepen. I do not want to see it coast — I want to see it develop, because I know that the show still has the potential to do that, post-credits. These things have been, and still are, important to me as a viewer. I’ve told my The Mindy Project origin story a million times, and the draw always began at Mindy and Danny’s relationship — starting with the chemistry, but more seriously embedded in how sound and sensible their relationship is at a storytelling level. They are allowed to continue to develop and grow past all the standard milestones that romantic comedies limit because they make so much sense — it makes sense that their story doesn’t end at their first kiss, or their reconciling one, or even their impending wedding one. Because their lives don’t end. They are developing, not developed, when they are with each other. The reason why Mindy bemoans falling in love with Danny, and the reason I agreed, like, so much in the third season, is because she — and I — had forgotten just how much these two have changed each other. I forgot that the reason behind Mindy’s third season maturity was Danny; I forgot the reason behind Danny’s third season devotion wasn’t sage Peter but Mindy herself. So this episode, in an exceptional way, challenges this doubt and lays out Why Mindy and Danny Should Be Together Forever In Matrimony as if it was an essay for class. It is my favorite episode of the show thus far, one that is romantic, ambitious, witty, and informed by the foundation already set by these loud, detailed characters. For Mindy, we enter into dreamland. I love this trope, and am so thrilled by its use. I am one of many who would have loved to see a flashback episode of The Mindy Project, because seeing past events through a present-day filter would have been so cool. But Mindy Kaling dismissed the possibility of doing this because she felt that it would not be useful if applied; it would just be a bunch of winks to the audience about how much things had changed. This is the alternative to that flashback episode, and it is the better alternative. We get the best parts of what a flashback could have provided — namely, the once-hostile relationship between Mindy and Danny — without any retconning or wasted time. In fact, because this is a dreamland, anything can happen without bending the logic of the show; it actually makes more sense if strange, absurd, unrealistic things happen, because it reminds us as viewers that this plot is all taking place in Mindy’s head. These are her fantasies challenging her reality, and because this lends perspective to a character who is often harder to understand than her romantic co-lead, the entire structure is legitimized. And thank God, because thanks to Mindy’s brain, we get Joseph Gordon-Levitt, we get Brendan DeLaurier, we get Freida Pinto, and we get a fight in the rain. These are her fantasies, but they are nothing compated to Danny Castellano, who means more to Mindy than having her own reality show with her handsome husband Matt. “I don’t want a husband, I want you!” she screams at the end of her dream — an explicit statement that resolves her inner conflict about marriage. In the end of the third season, Mindy said that she wanted a romance that she could show on Instagram. That’s not true — she wants Danny, first and foremost. Meanwhile, Danny is living out an alternate life on his own in India, as he interferes with Mr. and Mrs. Lahiri’s quest to find their daughter a husband to marry besides himself. He dismisses all of the potential suitors, obviously — they are not as good of a match for Mindy as he is. ... He just doesn’t want to marry her. Is Danny justified in not wanting to be married? He has good reasons. But for every character in the third season who just told him that he had to do the right thing, he hasn’t really changed in the long-term, preferring to live by his fears and anxieties rather than by the side of the woman he loves. That changes in this episode because for the first time, the designated sage — Morgan — doesn’t just tell him what to do. Morgan challenges Danny and in doing so confronts those fears that Danny lived his life by. There’s no talk with Ma or surprise fellowship to Stanford or surprise child. Danny’s proposal at the end of the episode is not driven by the plot (because obviously Mindy Lahiri would never marry the guy from The Big Bang Theory, even if her parents picked him out). Danny’s proposal is driven by the examination and evolution of his character. I was surprised this episode that Morgan let it go on as long as he did. It’s not really his style to not blurt out everything about everyone’s business, nor is it his style to have the acuity to challenge Danny instead of just make the same old speech we heard twenty-two times last season. But maybe it’s a testament to how much Morgan believes in Dr. C to actually do the right thing and understand why he is doing it beyond “I love Mindy.” Providing Morgan with some actual grit not only added significance to Danny’s actions (because Danny cracked under the challenge Morgan provided rather than doing whatever Morgan asked of him), it also added significance to Morgan as a character and a long-term plot device that feels organic, not shoehorned. One other thing that I loved was the balance of romantic fantasy versus reality, and how — while both are beautiful — reality is a bit sweeter in its own way. I wrote about how Mindy’s fantasies were proven by her to be worse than her reality, but I believe that the understated, beautiful proposal — in bed which, by the way, is my DREAM proposal — exaggerates this theme even more. Reality is better than fantasy. Except for when you want to watch The Mindy Project instead of doing anything else. Then fantasy might win. Going forward, my fears are no longer in serialization or not serialization — they are pretty soundly in how much the show commits to Danny’s new attitude on marriage. I don’t mean that he needs to be a saint in his opinion, but I don’t want him to hold off on the marriage for the same reason he held off on the proposal. I want something new. I think that Danny and Mindy both had incredible moments this episode, to the point where even the ridiculous about them (walking around to cool down your loins) could work very well in a serious scene. This is something I also enjoyed about the “mommy” in the third season finale, and something that I know this show can do well when it wants to. Proposal in bed and fights/kisses in the rain are my all time favorite romantic tropes. Holding hands on a plane, belligerent nemeses-turned-best friends, grumpy men with a heart of gold, “I see the way you look at her,” falling in love with your best friend: these are all incredible, and Mindy Kaling has brought them to life for me. A concern that still lingers is that Tamra and Jeremy’s absences meant absolutely nothing to me. I love them, and I hope they find a nice strong arc to attach themselves to this season. I knew no spoilers, so this episode made me go bananas. I had no idea Danny would propose. The extra time was so necessary and I am happy Mindy is on Hulu, where she rightly belongs. Can you imagine “Mindy and Danny” without twenty two minute constraints?! But are we going to get shortened theme songs ever again? How will I know when things get real? Mindy looked so hot this episode, as did Danny (the Boston Red Sox sweatshirt did it for me). A+++, Sal. I love Brendan, always, and he had some great lines. I read Why Not Me? last night in one sitting. It was brilliantly funny, thoughtful, and reminded me that there is no celebrity’s voice who I relate to more than Mindy’s. In particular, I loved the romance story of her New York self (Mindy Kaling wrote her own fanfiction, BLESS) and her description of how girls can passive-aggressively make other girls feel bad about themselves. I adore her work ethic and think that she is so smart. What now? Did you guys like this episode? Are you going to “tell me so”? If so, I recommend this. Otherwise, I’d love to hear what you guys thought and what you anticipate for the remainder of the season! These observations were not stray. They are 25% of what I wrote. Loved your review. I also really liked the episode, although there were a couple of things that I didn't like. I thought Mindy did a fantastic job she is truly a brilliant writer and a great actress. I freaking love her parents- perfect casting. I hope we see a lot more of them. This is of course the opposite of how I feel about Ma (who I keep hoping will get hit by a bus). I truly can't wait to see them with Mindy and Rishi. I love Brennan so I was thrilled to see him and thought JGL did so amazing and you just know he is a pro the way he committed to his lines. Loved how Mindy was able to show how Mindy and Danny make each other better, except I didn't buy that Mindy would cheat if it wasn't Danny she never did prior. However, like you said it was her nightmare. I did miss Tamara, she really adds a lot to the show and I miss Peter more then words can say. I didn't like how Danny didn't know what Danny's father looked like. This was suppose to be the father of the love of her life and and he didn't know what he looked like? It is hard to believe he truly loves her when he can't care about her family. Its either that or he is just racist which isn't great considering he is about to have an Indian child. I thought it was a great episode, I loved the fight in the rain. The proposal was sweet, but I still need Mindy to call Danny on his crap. He started the marriage talk first, he knew what Mindy wanted before he started anything romantic so to get involved with her knowing what she wanted and promising it to her when he knew he didn't want to offer it because of his issues is inexcusable and Mindy is allowed to be angry. I am hoping that there are some residual issues that pop up over the season. Overall I thought it was amazing and I am really excited for the season.